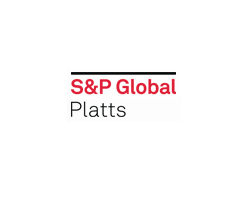 April 9, 2019 - U.S. thermal coal exports are expected to fall as much as 12% in 2019 and 25% in 2020 given the declining Northern European delivered price, which will put pressure on the U.S. utility and lower-grade U.S. metallurgical prices, Seaport Global analysts wrote Monday. Since October, when the S&P Global Platts CIF ARA was assessed above $100/mt, the price front-month CIF ARA price has dropped about 47% to $55.05/mt on Friday. The price level for healthy U.S. exporters, Seaport senior analyst Mark Levin and senior associate analyst Nathan Martin wrote, is between $80/mt and $90/mt, based off the API2 price, with $75/mt as the lower limit to keep exports afloat. On Friday, the analysts noted an API2 price of $74/mt. According to the report, despite the price curve collapse on the front-end, the back end has "fared better, but it too has been under downward pressure," falling $6/mt in the past month. Several U.S. producers have locked in tons into the export market at fixed prices, but "a lot of coal that was previously targeted for the export market could find its way back into the U.S. domestic utility market later this year and in 2020," Levin and Martin wrote, which would put extra pressure on U.S. utility prices in heavy thermal export regions such as Northern Appalachia and the Illinois Basin. Additionally, "tons redirected back into the U.S. market have the potential to put downward pressure on lower-grade U.S. met coal prices," they said. "At current API2 prices, it's exceedingly difficult for even the lowest-cost U.S. miners to generate margins internationally in excess of what they can get domestically," the report said. Approximately 54 million mt was exported into Europe and Asia when the front-month price averaged $92/mt for the year, compared with exports averaging 35 million mt in the preceding five years when the price averaged $72/mt. Levin and Martin listed a mild winter in Europe, weak natural gas prices, restriction in Australian imports into China, along with more Russian coal making its way into Europe as reasons why the price has dropped so significantly. "Some of the factors (plus others) are at play in Asia, where there currently appears to be a surplus of coal," they added. Elsewhere the thermal export is facing declining prices. In Asia, the Newcastle 6,000 kcal was assessed at $81/mt Friday, down from $97/mt a month earlier, and down further from the year-ago price of above $100/mt. The 2020 price, as well, has fallen, down to $86/m ton Friday from $91/mt the previous in March. In regards to U.S. railroads, CSX, Norfolk Southern and Canadian National face the most exposure to the thermal export market; however, Seaport analysts "feel reasonably comfortable with the assertion that steam export coal is not a terribly profitable business for the eastern rails." Profit off exports for the railroads largely comes from the metallurgical coal export business, with the analysts estimating "the two rails enjoyed operating ratios in the 42%-53% range in 2018" off their met exports. While Levin and Martin do not expect much year-over-year variability in total U.S. met export volumes in 2019 or 2020, "it's worth highlighting that both CSX an NS have tied their rail rates to the met coal price."